Organic Aloe Vera Gel 98% pure moisturizes the skin, strengthens the hair and supports the natural cell regeneration. The natural ingredients help with dry skin, stretch marks, hair loss, sunburn, burns, scars, insect bites, skin infections, warts, allergies or skin problems such as itching, eczema, psoriasis, acne or rashes. Organic Aloe Vera Gel contains more than 160 active ingredients such as vitamins, minerals, trace elements anthraquinones, monosaccharides, polysaccharides, enzymes, secondary plant substances and amino acids. 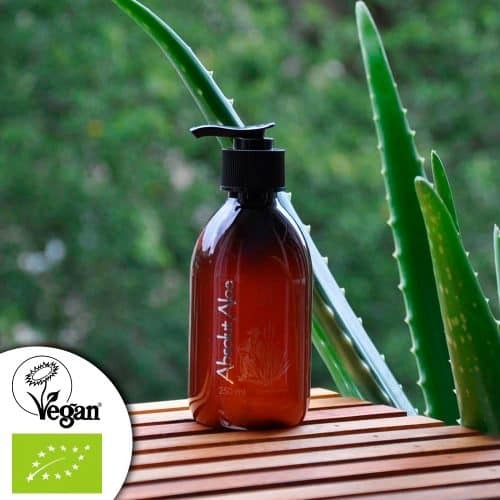 This variety and composition makes Aloe Vera Gel a miracle cure for skin and hair. For the skin, it serves as an effective, all-natural cell regenerator that regulates the balance of the skin. It acts directly on the tissue, nourishes it and improves its firmness by activating the skin’s characteristic synthesis of collagen and elastin. Its conductivity allows access to the deepest layers of the epidermis, which, together with its restructuring properties, makes it an aid in alleviating skin diseases and controlling sebum production. It is ideal for maintaining general skin health or combating acne. Used as an after-sun, it softens the skin and prolongs the tan. For external application on the skin, shake the gel well before each use. Apply Aloe Vera Gel to clean and dry skin and massage in gently. 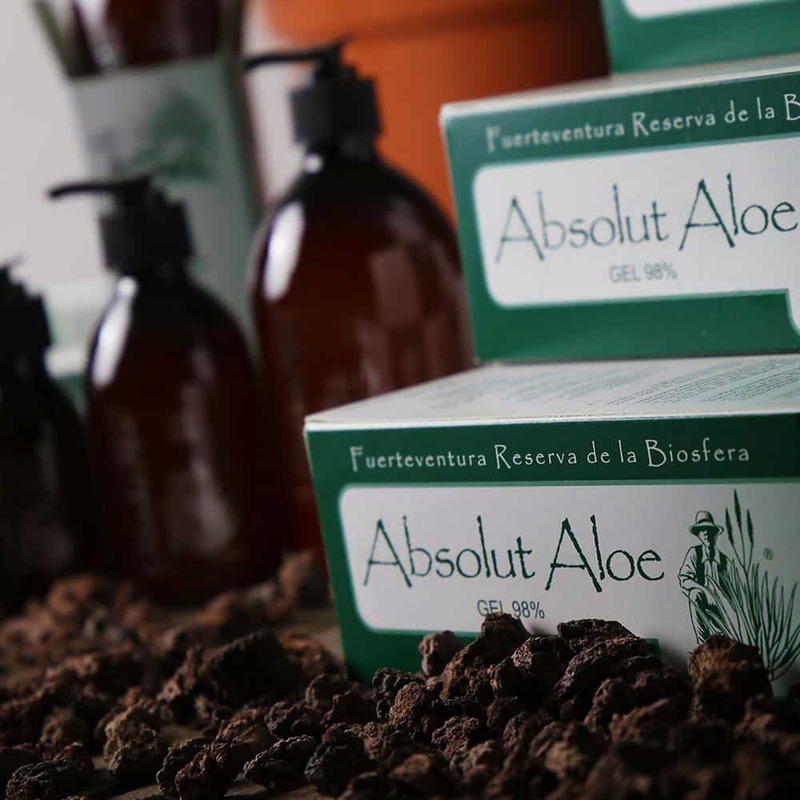 For people 30 years and older, it is recommended to combine Aloe Vera with a moisturizing cream or oil as pure Aloe Vera is astringent and can leave a feeling of dryness and firmness. However, if you combine it with a moisturizing oil such as argan oil, the Aloe Vera Gel can penetrate the skin better and you get the maximum benefit from both products. Aloe Vera can be combined with any type of oil or moisturizer to better penetrate the skin. Organic Aloe Vera Gel for external use can be used by people of all ages, including children, babies and pregnant women. Beautiful, well-groomed hair right up to the tips requires suitable care products with high-quality ingredients in order to be and stay healthy. 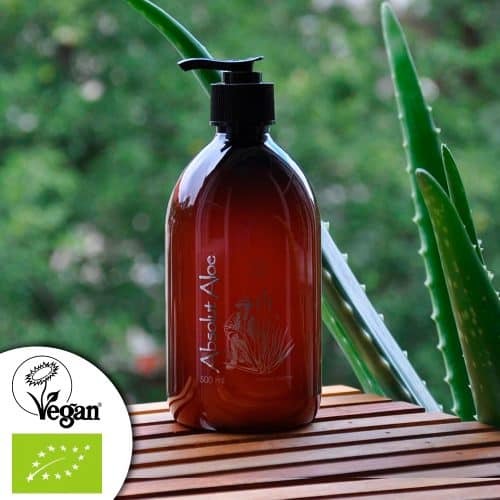 For hair and scalp, Aloe Vera has two main properties: it moisturizes and revitalizes the hair, making it soft and supple and giving it a new shine. Aloe vera also promotes blood circulation in the scalp. This strengthens the hair roots and supports hair growth. At the same time, it reduces dandruff and itching in a gentle and natural way. As a leave-in conditioner (link to recipe), massage the Aloe Vera Gel after shampooing into the moist hair tips or the entire hair. No rinsing is necessary. It can also be used as an intensive hair mask (once a week). To do this, massage the gel into all dry or damp hair and wrap the hair in a towel. Leave on for at least half an hour or better overnight and then wash as usual. For an even more intensive effect as a leave-in conditioner or as a cure, Aloe Vera Gel can also be mixed with a few drops of Argan oil (Link). For scalp application, massage the gel thoroughly into the scalp. Store Aloe Vera Gel in a cool, dark place. After opening, it is best to store the product in the refrigerator to avoid premature oxidation of the product and thus preserve its properties and benefits for as long as possible. The approximate shelf life of the opened product is 6 months. Aloe Vera belongs to Liliaceae and shares a family with garlic, onions and tulips. The smell of its pure flesh can be a little strong because we do not use perfumes or remove its natural smell through chemical processes. However, the fragrance disappears completely in less than 2 minutes once the Aloe Vera Gel is applied to the skin, as the skin absorbs it 8 times faster than water. From 6 months the color of the gel starts to yellow. This is a natural process of plant oxidation, so you can continue using the product until it is 12 months old. Ingredients (INCI): Aloe barbadensis miller*, xanthan gum, ascorbic acid, tocopheryl acetate, citric acid*, potassium sorbate, potassium metabisulfite. * from a controlled organic farm. Our Organic Aloe Vera Gel is free of parabens, silicones, artificial dyes, fragrances with allergens and many other toxic substances that are very harmful to our skin and nature. The gel is produced with active ingredients of natural origin from organic farms, free of pesticides and without animal cruelty. Natural cosmetics and natural care products respect your skin. 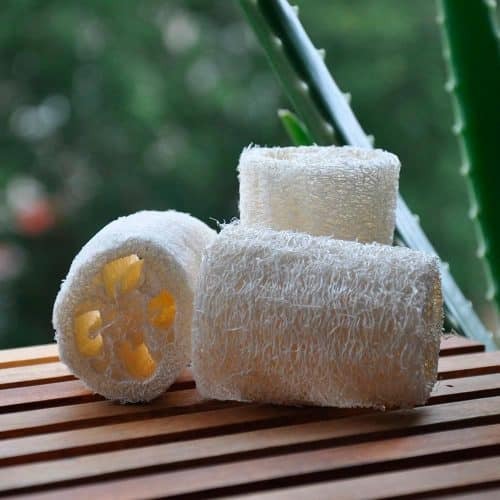 They contain no toxic or harmful chemicals that cause allergies or other diseases or are absorbed through the skin – our largest organ – and thus enter the body. This is why people with skin problems appreciate organic skin care without skin irritants. The use of natural and organic products is also essential for the delicate and sensitive skin of children and babies, as they quickly redden and become irritated. 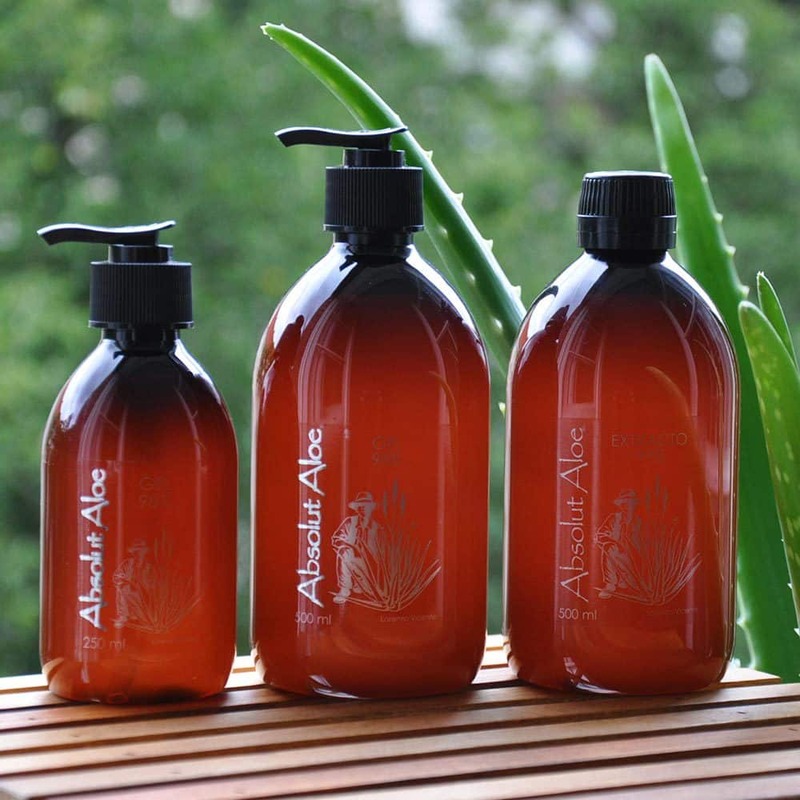 The Organic Aloe Vera Gel is produced in a gentle cold pressing process under anearoben and sterile conditions. This prevents the loss of nutrients and ensures the unique quality of our Aloe Vera products. 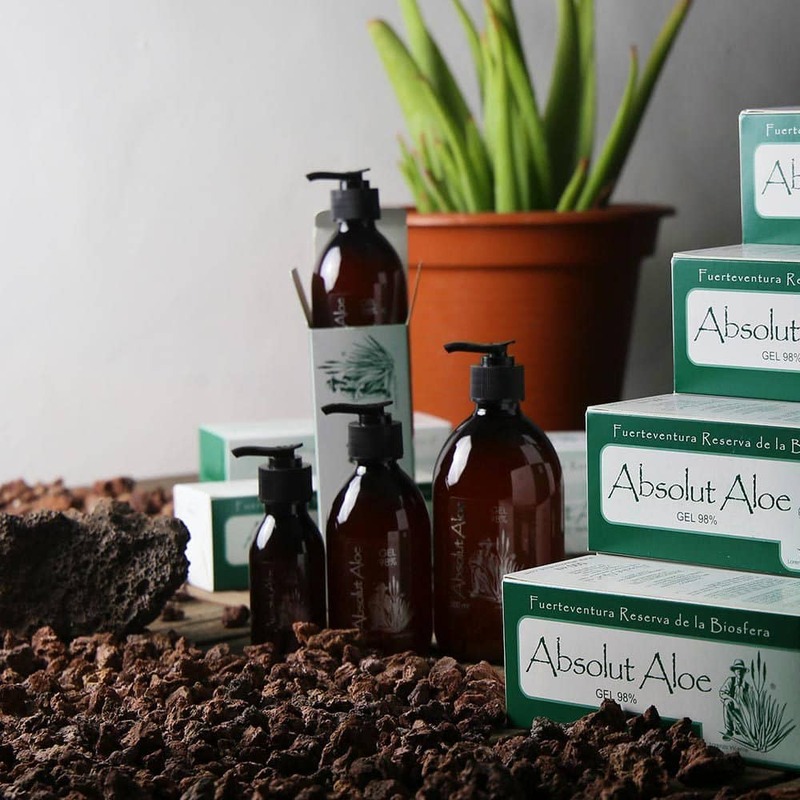 Ecological products are not only good for the body, but also for the people who grow them and for the environment. By avoiding pesticides and other harmful substances, the environment is less polluted. Feel good every day when you know that you have not injured any animals to make or test this lovingly handmade natural soap. We reject any form of animal abuse. If the goods are in stock in the dispatch warehouse, they are usually within one working day, at the latest within 3 working days with you. An advantage of our partner: DHL also delivers on Saturdays in many areas of Germany. If you order on a working day (Mon-Fri) before 19:00, the goods in stock will be shipped to you on the same day. Orders arriving after 19:00 will be picked up by DHL on the following working day. Of course, you can also specify separate delivery and billing addresses. We also deliver to DHL packing stations. All shipments have a tracking code and are insured in the event of loss. Free shipping from 74,90 Euro order value. With AbsolutAloe you can buy completely free of shipping costs on orders over 74.90 Euro (incl. VAT). * VAT-free. Non-EU customers do not pay German value added tax (VAT) (19%). The value added tax is raised by the respective country, usually by the customs authority. Destination: Aland Islands (Finland), Andorra, Albania, Belarus, Mount Athos (Greece), Bosnia-Herzegovina, Campione d’Italia (Italy), Faroe Islands (Denmark), Georgia, Gibraltar (Great Britain), Greenland (Denmark), Iceland, Channel Islands (Great Britain), Kosovo, Liechtenstein, Livigno (Italy), Macedonia, Moldova, Montenegro, Norway, Russian Federation, San Marino, Serbia, Turkey, Ukraine, Vatican City, Cyprus (northern part). Destination: Rest of the countries not mentioned above. How do the 30 days return policy work? This can happen to anyone: You buy something with a firm conviction and then realize that the product you bought does not meet your expectations. No problem! On all items you purchase with AbsolutAloe we grant you as a consumer, in addition to the legal right of return of 14 days, a further 16 days of our money back guarantee. Please note that the refund must be processed within 30 working days of receipt of your order. If you are not 100% satisfied with an item purchased in our online store, contact us and we will explain how to proceed. Please make sure that the products are returned in their original packaging, with all accessories supplied and without any sign of use.